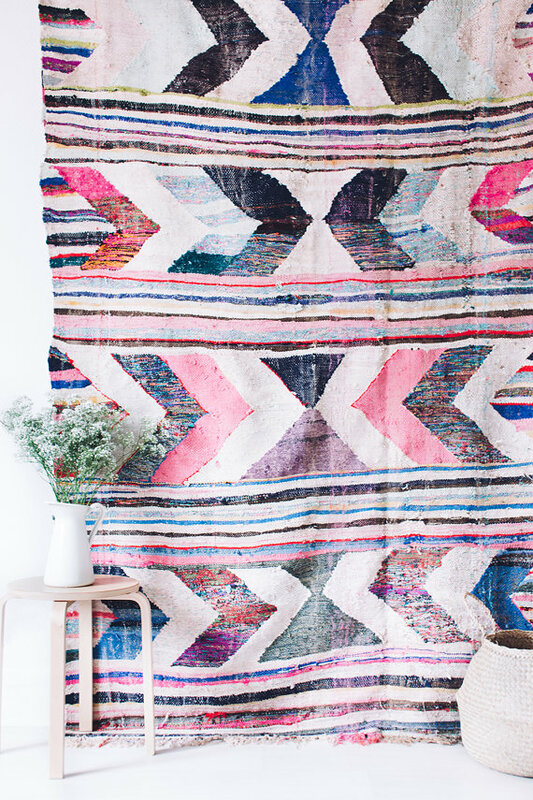 Take a look at how a well-chosen rug can set the tone of a room. I found some nice examples on Pinterest. Amazing colors here, it really cheer up the room. Of course that cute wall art helps a lot too. 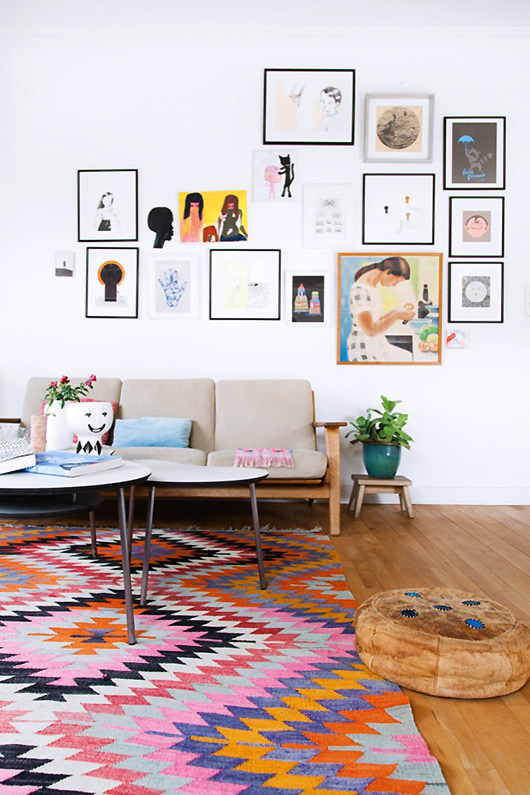 You can hang them on wall too, it creates a cozy and calm atmosphere. 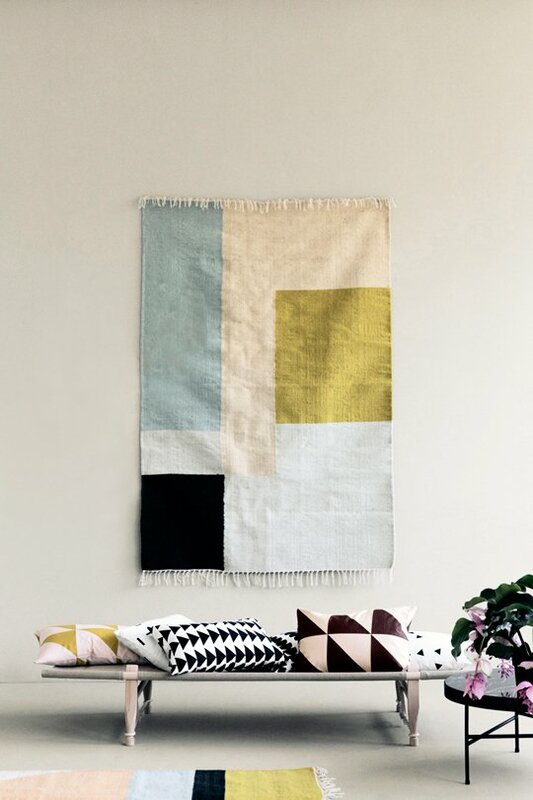 Lovely minimalist rug with pastel colros from Ferm living. 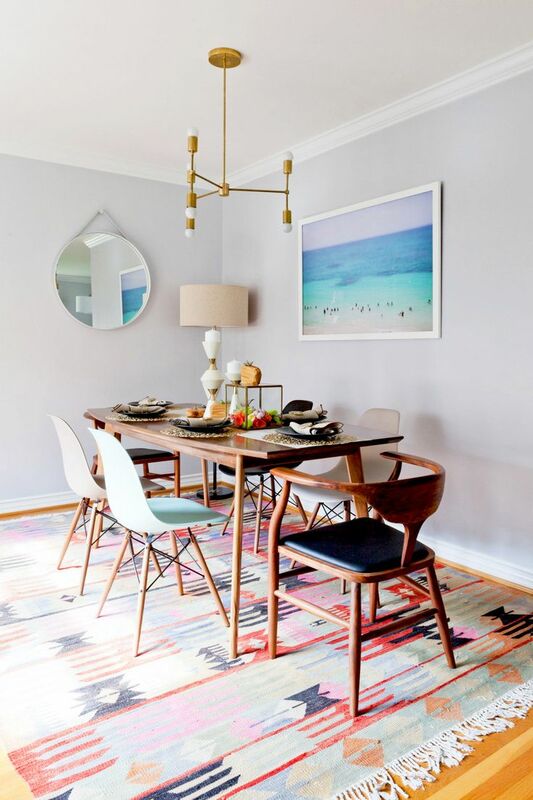 This gorgeous colorful rug works pretty well in this dining room, positive and cozy atmosphere. 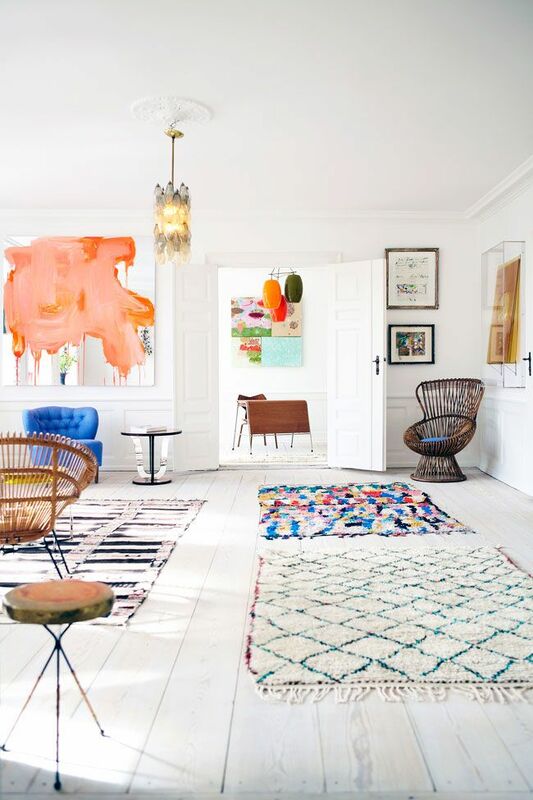 Large room with a variety of different rugs - another nice idea with a great result. More here. Black and white rug in a black and white room - classic nordic combination with a clean and sophisticated look. 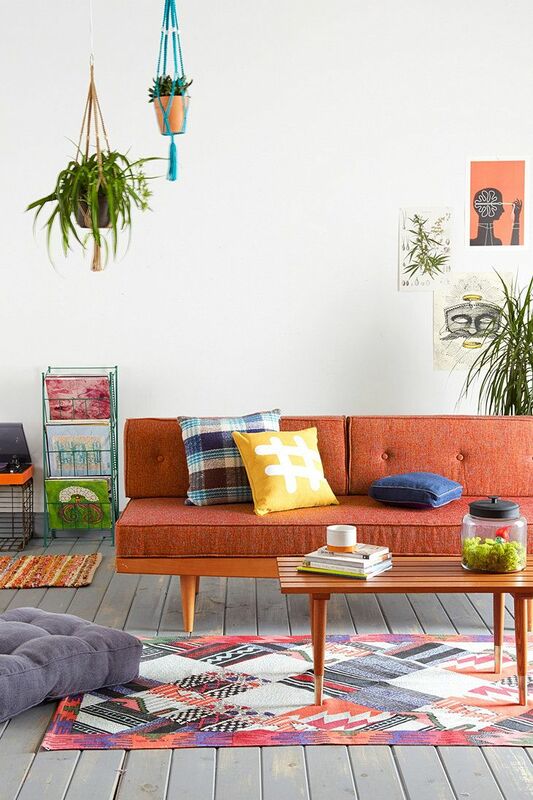 Colors and retro style furniture, happy, playful combination! 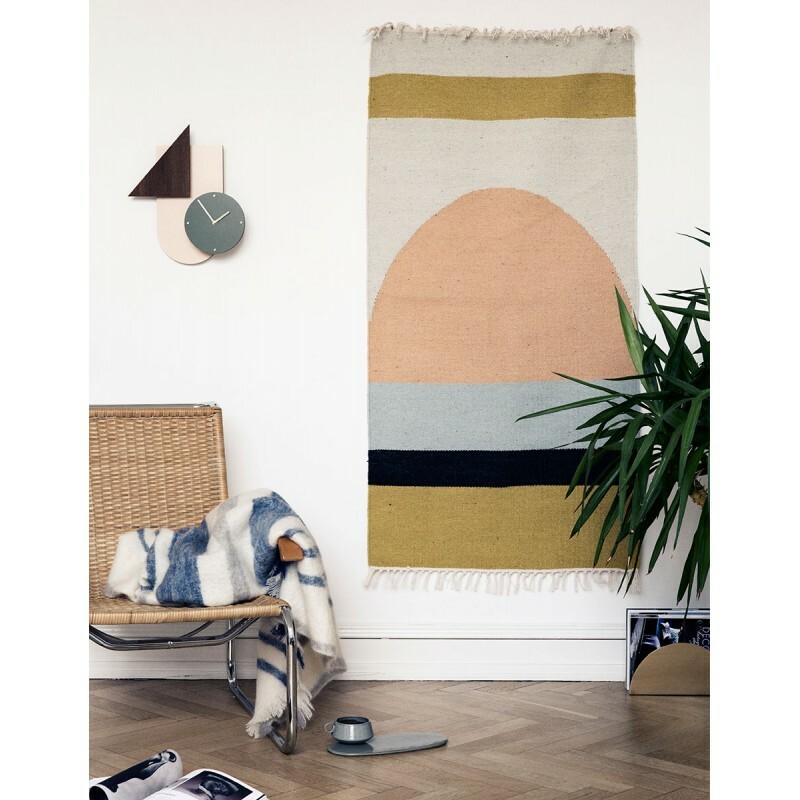 Another nice wall rug from Ferm, simple and clean, yet totally makes an impact.